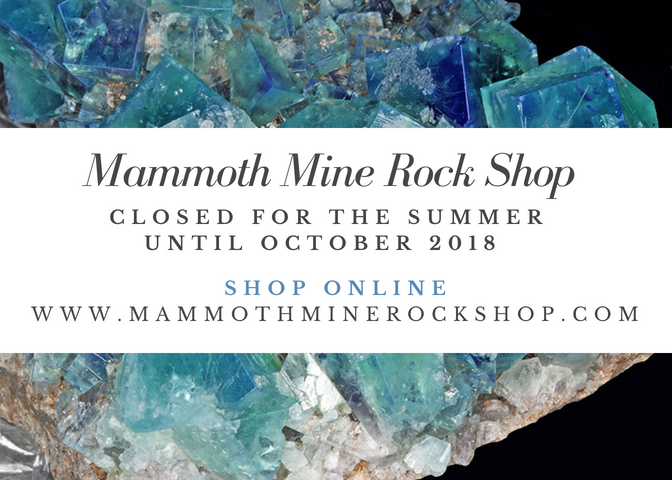 The Mammoth Mine Rock Shop is closed for the summer season! We look forward to seeing you on our facebook page and in the online shop. Check back often to view new products. We are rockhounding every minute of every day!